When the cemetery was founded in 1822, the majority of the city’s population was Catholic so it was blessed accordingly. During the presidency of Bartolomé Mitre the blessing was officially removed when he insisted that a prominent member of the Masonic Order be buried there. Or so the story goes. These days, all public cemeteries in Buenos Aires are non-denominational. However given the conservative class of the families present, Recoleta Cemetery remains 99% Catholic. 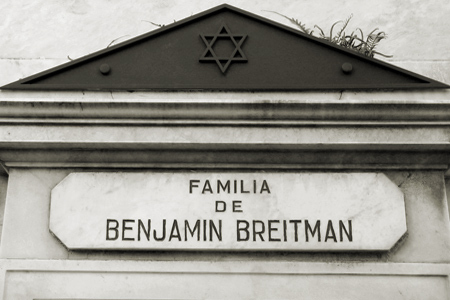 Not much is known about Benjamín Breitman or how he came to purchase a plot, but the history of Jewish burials in Argentina began with the establishment of the community in Argentina. Currently, the tomb is empty because Breitman’s family has moved all caskets to another cemetery. 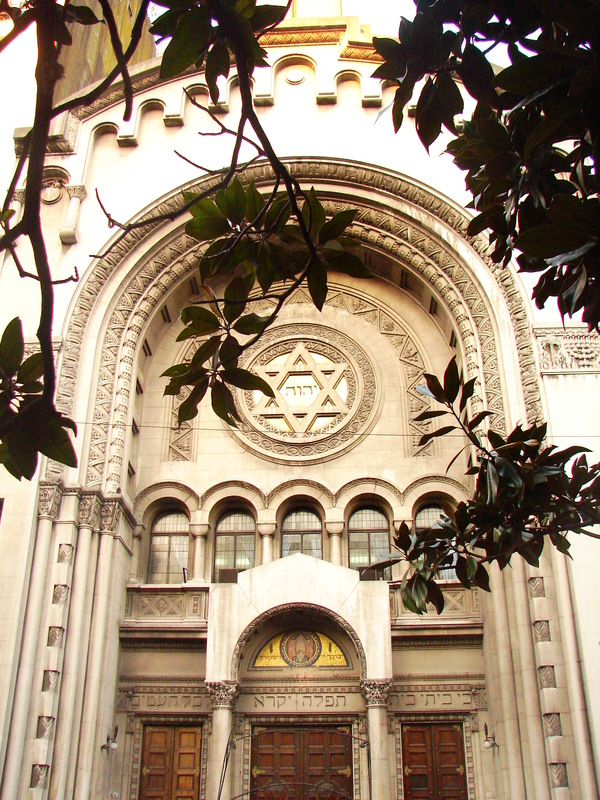 Founded in the 1860s the Templo Libertad on Plaza Lavalle may not be the oldest synagogue in Buenos Aires, but it was the most important for early Jewish immigrants. Jewish tradition foregoes ostentatious burials, given that all are equal after death. The largest non-Catholic cemetery during the early years of the Jewish community in Buenos Aires was the Cementerio de Victoria (now Plaza 1º de Mayo). Sponsored mainly by the Protestant community & 50% funded by the UK, Jews & Protestants were buried together at the same location. Popularly referred to as the Cementerio de los Disidentes (Dissident’s Cemetery), it filled to capacity during the 1871 yellow fever epidemic. Back then if you weren’t Catholic, then you must be a dissident. The Jewish community had an opportunity to claim part of Chacarita Cemetery when it opened but opted to wait for their own burial ground. In 1912 the Cementerio de Liniers opened (actually just outside the city limits of Buenos Aires) exclusively for Jews & was mainly for those of Ashkenazi descent. Being buried there still remains a sign of high status within the community. Jews of Moroccan descent—many referred to as “impure” based on their connections with the mafia—opened a cemetery south of Buenos Aires in Avellaneda. It is currently closed. In 1936, another cemetery was opened for poorer Jews in Tablada & the newest cemetery in Ciudadela is typically for those of Sephardic descent. All these cemeteries are closed to visitors. La Tablada Cemetery: Avenida Crovara 2824, 1766 La Tablada; Provincia de Buenos Aires, Argentina. Largest Jewish cemetery in South America. A memorial monument for the 86 killed and 300 wounded in the bombing on July 18, 1994 was unveiled on July 16, 1995. La Tablada, which covers 138 acres and has 70,000 graves, is the largest Jewish cemetery in the country. 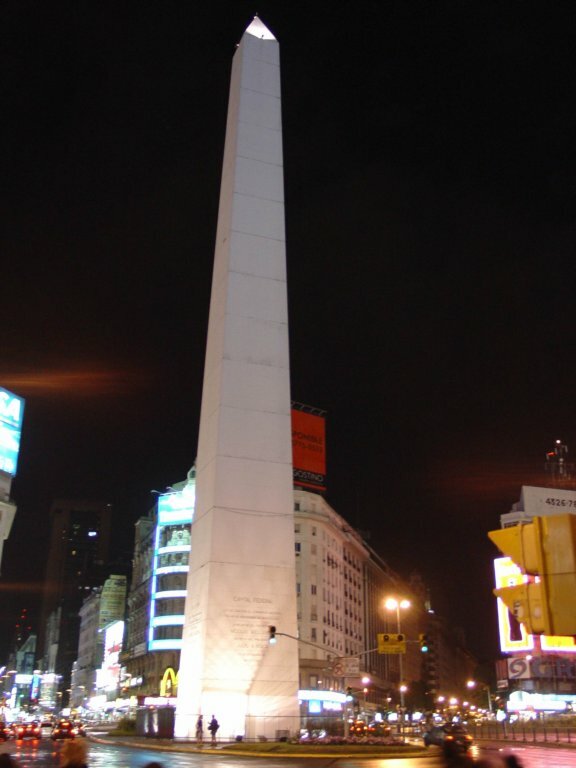 With Latin America’s largest Jewish population, Argentina has 230,000 people who identify themselves as Jews. Tablada has computerized records. 45 known Jewish cemeteries exist in Argentina. JGS of Argentina has burial records for eighteen of those cemeteries, a total of 157,850 names current through 1997. The records cover about 100 years. Of these eighteen cemeteries, nine (of a total 11) are in the Buenos Aires area and nine (from 34 active ones) are in the country. Visitor finds goods to admire, sand to be mired in, turns that cause gasps and views almost too stunning to grasp. TRAVELING in this province is rough. Even on a guided tour and traveling in comfortable vans and cars, I encountered bumps. I bounced over miles of unpaved road, got stuck in a tour van in treacherous sand, gasped in fear at steep drops and sharp switchbacks, and gave up sleep for days that started before dawn and ended too late for dinner. But every bit of discomfort was worthwhile, because Salta’s scenery is spectacular. The remote, crescent-shaped province in northwestern Argentina has dramatic gorges that stretch for miles, mountains that show off brilliant mineral hues and castle-like rock formations, green fields, cactus-strewn desert and treeless tundra so high that the clouds float far below. Much of this province is uninhabited. Llamas roam free. Wild burros munch scraggly plants and nose at water seeping through rocks. Condors circle overhead. I first heard about Salta while touring in Argentina’s Mendoza wine country, where I tasted Torrontés, a lovely floral white wine unique to Salta. One sip and I wanted to visit the region to learn more about the wine. So I came here in April, which is autumn in Argentina. The lowlands were warm, but fierce, frigid winds drove me from a summit. Except for one overnight trip, I toured by day from my base in the province’s capital city, a two-hour flight north of Buenos Aires. Salta, founded in 1582 by Hernando de Lerma, governor of Tucumán to the south, is a pleasant city. People lounge at outdoor cafes around a tree-filled central plaza. Nightspots called peñas present shows of boisterous northern music and dance. Women sit in the main square outside the cabildo, a colonial building that was once the seat of government, and sell woolly socks, caps, gloves and shawls. I bought a llama-wool sweater from one. I also shopped the large public market, which offered a variety of products, including the herbal brew maté; bright, striped cloths from Bolivia; and produce such as corn, a staple used for, among other dishes, the stew locro and humitas, which are fresh corn tamales. Spice stalls sold pimentón (paprika) from Cachi in the Calchaquíes Valley, where the sweet red peppers are sun-dried. The market was also a place to buy coca leaves, which are reputed to aid digestion and prevent altitude sickness. Every restaurant I visited served soothing, delicate coca-leaf tea. The leaves do yield cocaine, but small amounts aren’t intoxicating. 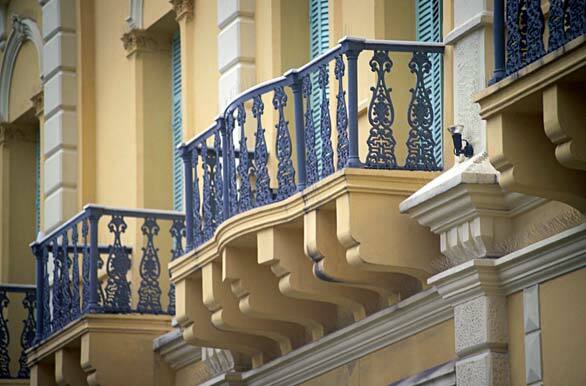 I stayed at the older, traditional Hotel Salta by the main plaza. A veranda opened off my floor, but I never had time to relax there. What mattered to me was that the breakfast buffet was in full swing by 6 a.m. Most tours start at 7 a.m., and once I had to catch a 6:15 bus, giving me only a few minutes to down a glass of orange juice, swallow a few bites of ham and cheese and grab small, gooey facturas (pastries) and medialunas (crescent rolls). Travel agencies clustered near the plaza energetically hawk tours, and most offer the same itineraries at the same price. 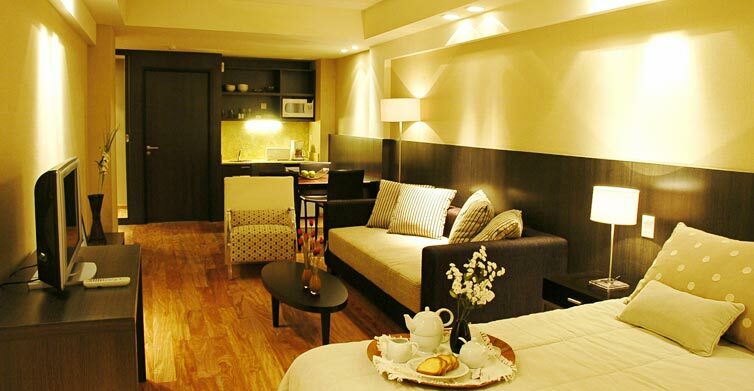 Tour prices generally do not cover meals or overnight accommodations. 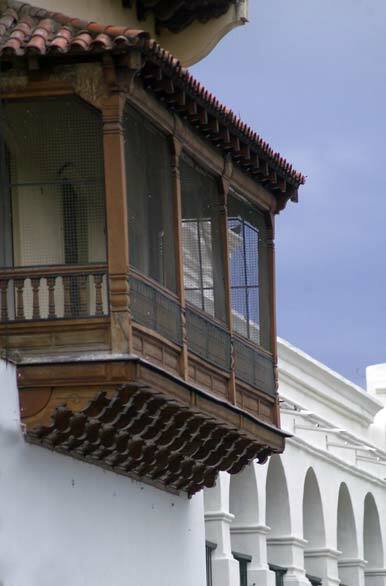 Understanding Spanish is an advantage, because on my tours, little was translated into English. Many are outdoor adventures. Mine were tame compared with horseback, rafting and trekking excursions. Some agencies handle tours better than others. I had one poor experience — an uninformative guide, a wretched hotel — and another that was exceptional. That trip went up the Cuesta de Obispo (Bishop’s Peak) to Los Cardones National Park, named for the tall, branching cardóncactus that thrives at high altitudes, then on to Cachi, a town where raised walkways enabled colonial women to step from their dwellings to carriages without dirtying their long skirts in the street. David, the guide, a music professor by profession, kept up a lively conversation about history, music and folklore, fed us alfajores (cookies sandwiched with caramel filling) and drove smoothly and tirelessly for almost 12 hours. Switzerland, I set off for Quebrada de Humahuaca, a 96-mile-long gorge that runs through Jujuy province to a turnoff for Iruya, which is in Salta province. Leaving the city, we rode through fields of sugarcane and other crops. Wisps of cloud floated through hills in the distance. The driver said this parklike land was the “ugliest” part of the trip. The Swiss couple said it reminded them of Switzerland. Farther on, the highway passed cornfields shaded by poplars, and cemeteries placed on hills so the dead would be closer to heaven. This rough land, once part of the Inca empire, breeds hardy people. Here, Spanish settlers mingled with indigenous people, unlike in Argentina’s capital of Buenos Aires, which has a mostly European population. At one rest stop, I came across a stack of rocks littered with bottles, cigarette packets and other trash. What looked like the refuse of thoughtless tourists was in fact an offering to Pachamama (Mother Earth), a reminder that pagan rites survive in modern-day Salta. Adobe homes in this area are so isolated that children may have to walk hours to school. Water comes from rivers or wells, and the kitchen stove is an outdoor beehive adobe oven. People eat what they can raise, including goat, lamb and llama. I had goat stew for lunch in the town of Humahuaca, about 150 miles north of Salta, and noticed llama on the menu. The Humahuaca gorge was the site of many battles after the struggle for independence from Spain broke out in 1810. Salta’s great hero, Gen. Martín Miguel de Güemes, easily outwitted Spanish troops unfamiliar with the challenging terrain. 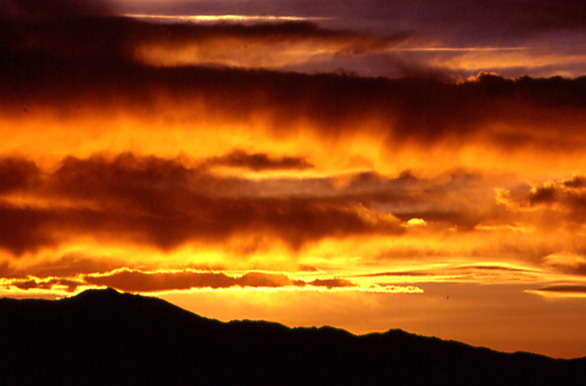 His gaucho guerrillas wore red ponchos with black trim — now the colors of Salta. Güemes became mayor of the city at 25 years old and was slain at 36. Each year on June 16, gauchos assemble at his statue in Salta for an all-night vigil, followed by a parade the next day, the anniversary of his death. Soon after Humahuaca, we turned off the highway onto a dirt road so rough it took two hours to traverse the final 35 miles to Iruya. We splashed through running streams and climbed to 13,123 feet to admire extraordinary vistas of mountains. Below, switchbacks cut through red rock to Iruya. When we stopped, a little girl, accompanied by two shepherd dogs, rushed up to the car to beg for un caramelo (a candy). Children in this remote area rarely get such a treat. We arrived in Iruya at twilight, which left little time to explore its steep, rock-paved streets. I did find a tiny shop that sold handicrafts, and for $2 I bought a fuzzy brown wool llama made by a woman named Matilde Díaz. The guide dropped us at a crude hostel that had no comforts — not even things to wash up with. A young English backpacker in my tour group said it was the worst he had seen. But the view from the back veranda was astounding — I could almost touch the mountains. After a simple meal of humitas, empanadas and coca-leaf tea in the town’s one decent restaurant, the Café del Hostal, I shopped for soap and a towel, and then listened to kids shooting baskets outside my room until after midnight. Early the next morning, we were rousted out of bed for a breakfast of dry bread and coffee, then departed for Purmamarca. This town on the old trail to Peru made up for my disappointment in Iruya. It is shoppers’ heaven. The entire main plaza had been turned into a dazzling marketplace and was loaded with colorful blankets, wall hangings, sweaters, dolls, belts, maté containers, jewelry and bunches of clattering animal claws that musicians use to beat rhythm. 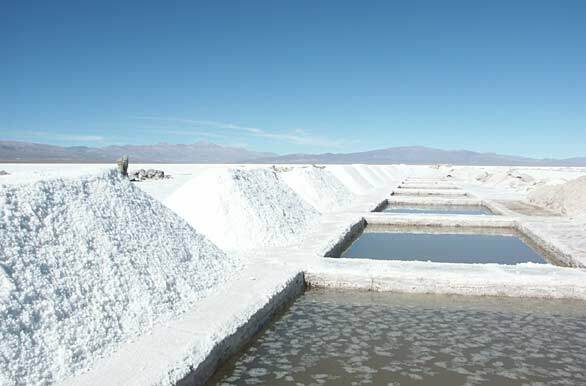 We bought sandwiches and drinks to go and left the town for the salinas grandes, or salt fields. There, we ate our purchases in a restaurant under construction. The tables and benches were fashioned of thick salt slabs, and coarse salt covered the floor. Oddly, though it was hot, the salt furniture was almost as cold as ice. The sparkling salt fields look like a vast frozen lake, and I couldn’t shake a worry that our heavy van might break through its surface. We did run into trouble — not on the field but on the dirt road that emerged from it. The van became stuck so firmly in deep sand that no amount of pushing could budge it. Luckily, a driver came along and helped get the van moving again. BUT the delay cost us. The last part of the tour was to parallel the route of the Tren a las Nubes (Train to the Clouds). One of the highest railways in the world, the train traverses switchbacks and a soaring viaduct. We did drive the route but in total darkness — so we missed the scenery that makes it one of Argentina’s top tourist draws. Never mind. In nine days I had seen enough to realize that the words in a local folk song, “Salta toda linda” — Salta, where everything is lovely — were too modest. This historic province — despite its hardships — is more than lovely. It’s magnificent. The Tierra del Fuego city, which bills itself as the End of the World, cashes in as thousands flock to its relatively untouched terrain. Ushuaia, Argentina — THIS is a place where “The End of the World” sells. The theme is celebrated in T-shirts, bumper stickers, coffee mugs and posters. You can’t get away from it. Chilean officials like to make the same assertion about the town of Puerto Williams, a military settlement slightly to the south, but Ushuaia is by comparison a metropolis, home to more than 55,000. Hotels, casinos and travel agencies have multiplied in recent years like the region’s abundant, albeit nonnative, beavers. 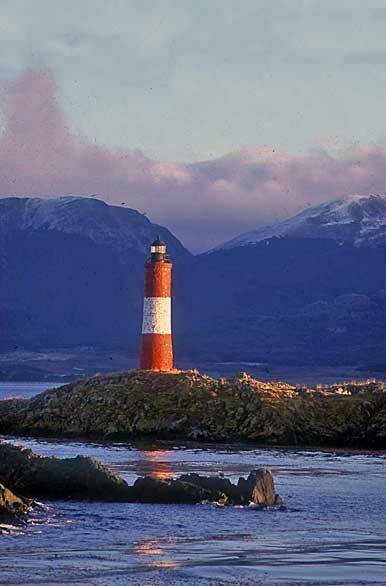 Over the years, Ushuaia has served as an indigenous campsite, Anglican mission, prison colony and way station for corsairs, whalers, pirates and gold-diggers, among others. The indigenous peoples, convicts and shipwreck survivors are all gone, replaced by guidebook-toting, exotica-seeking sightseers in waterproof gear and hiking boots. Tourism pumps more than $120 million a year into the economy. Amid the worldwide eco-awareness boom, Ushuaia has gained global traction as a base to visit receding glaciers, observe penguin and sea lion colonies, follow the path of Charles Darwin and even trek (with sunscreen) beneath the ozone hole, which occasionally extends above the city, though it can’t be seen. Ushuaia is also the southern terminus of Patagonia, another tourist brand oozing cachet. The almost honky-tonk ambience during high season takes some folks aback. The helicopter-and-submarine-equipped yacht Octopus stopped by in February, bringing Bill Gates, the Microsoft founder, and a multitude of crew, relatives and friends. Gates’ associate Paul Allen, owner of the $200-million-plus Octopus, also was on board. But the onslaught of world-end chic hasn’t shattered the allure — not yet, anyway. Although some unsightly development mars the town, nearby parks and waterways offer access to a largely unspoiled landscape of inlets and moorlands, forests and bays. The Berlin Symphonic was the big draw at Ushuaia’s third International Festival, a classical music extravaganza that is the centerpiece of the city’s aggressive attempt to push the tourist season into the gray and chilly autumn, when an early dusk beckons and the streets empty. The orchestra played to packed audiences at a hotel ballroom in a city that still lacks a proper concert hall. “People in Europe even want to have their honeymoons here,” says Margarita Uliarte, a festival promoter from Austria. World’s End festivals — arts, food, film, theater — are metastasizing as city promoters sell a Third World alternative to Salzburg, Cannes and Sundance. Exhibits included a stylized sunflower sculpture, dubbed a “sentinel” of climate change, and the Polar Project, a video installation featuring clips of humans standing on icebergs. THERE are in fact no icebergs here, still some 700 miles from Antarctica, but these extreme latitudes have long conveyed a sense of wildness. “The mountains … rose in one unbroken sweep from the water’s edge, and were covered to the height of fourteen or fifteen hundred feet by the dusky-colored forest,” Darwin wrote nearly two centuries ago in what is believed to be a description of Ushuaia. Today, the busy main drag boasts an Irish pub, sundry boutiques, rough-weather outfitters and the inevitable proliferation of seafood eateries, cafes and the ubiquitous parrillas, or barbecue restaurants. A jumble of boxy buildings marches up from the water’s edge, while an industrial strip, the product of a 1980s industrialization drive, sits at the shore of the Beagle Channel, named after the brig sloop that carried Darwin here in the 1830s. In the harbor, factory fishing ships mingle with cruise liners, sailboats, tour vessels and the occasional research skiff. “If people want to spend all that money to come here and see some penguins, that’s fine by me,” says Javier Adaro, who works as a deckhand on a catamaran that ferries visitors through Tierra del Fuego. The first Europeans to arrive in these parts were 16th century navigators and explorers, such as Sir Francis Drake and Ferdinand Magellan, rounding Cape Horn. Magellan, commenting on the eerie fires and smoke that emanated from unseen native camps, gave the land its current name, Tierra del Fuego, or Land of Fire. 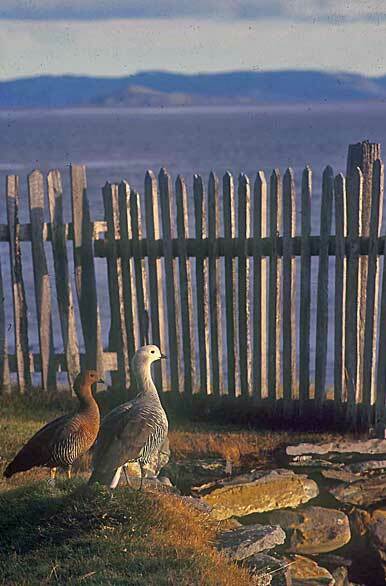 Thomas Bridges, the most acclaimed of the British evangelist wave, chronicled the Yamana language and the catastrophic demise of Tierra del Fuego’s tribes to illness after the Europeans’ arrival. Bridges’ descendants turned to sheep ranching, still a Patagonian mainstay. In the early 20th century, Ushuaia was a Siberia-like outpost, and Argentina built a notorious prison compound here, with convicts put to work building roads and other infrastructure. The prison is now a museum, its former cells exhibits on former inmates, Antarctic voyagers and others whose paths have crossed the town. 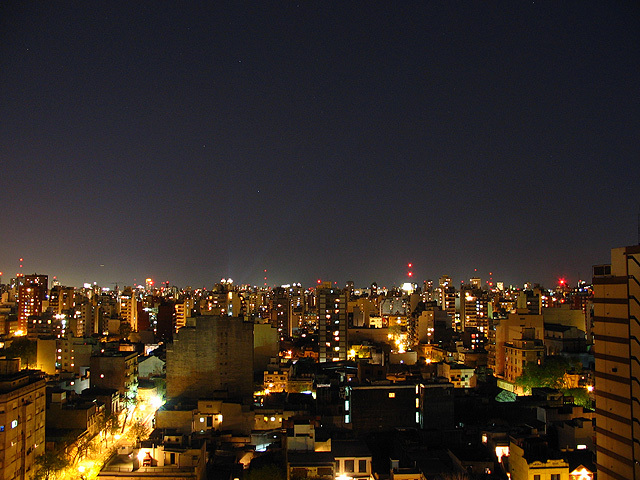 The Argentine government was keen to spur development after the prison was shut down, but had mixed results over the years. 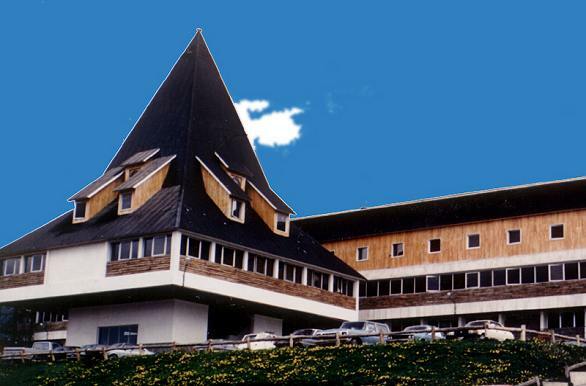 In the 1980s, several Japanese-owned factories opened in Ushuaia, assembling televisions and other electronic goods. But the industrialization drive floundered, leading to shutdowns, labor disputes and factory takeovers. Authorities hope that tourism, spurred by the peso’s loss of value during the 2001-02 Argentine economic crisis, proves more lasting. There are promising signs. Today, even during the dark and chilly winters, visitors are drawn to the End of the World ski runs. Residents, many of them migrants from other Argentine cities, seem mostly upbeat about the tourist influx. The city enjoys a relatively high standard of living and low crime, though prices are high since many products must be brought in. Others worry that the tourism frenzy and unchecked building boom, now featuring multi-story hotels, may obliterate Ushuaia’s small-town essence and further degrade the environment — the very features that draw visitors.